These identified industries consume about 65 % of the total Indian industrial energy sector usage. If we can save about 30% 0f energy what above identified industries consuming, we can not only solve the problem of blackouts, brownouts our country facing but also we can increase the no. 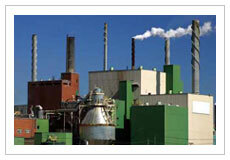 of industries by simply following some of the given energy efficiency and conservation steps. The sector has become very energy-intensive over time, which is partly due to investments made in basic and energy intensive industries due to the emphasis laid in the past development plans on achieving self-reliance. There are wide variations in energy consumption among different units within the same industry using same technology. 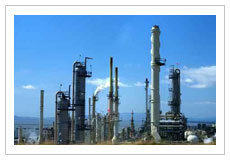 It has been estimated that the total conservation potential of this sector is around 23% of the total energy used by it. Establishing and prescribing energy consumption norms, standards for designated consumers. Directing designated consumers and energy intensive industries specified in the Schedule to get an energy audit conducted by an accredited energy auditor in the specified manner and intervals of time. Directing designated consumers to furnish information with regard to energy consumed and action taken on the recommendation of the accredited energy auditor to the designated agency. Directing designated consumers to appoint certified energy manager in charge of activities for efficient use of energy and its conservation.